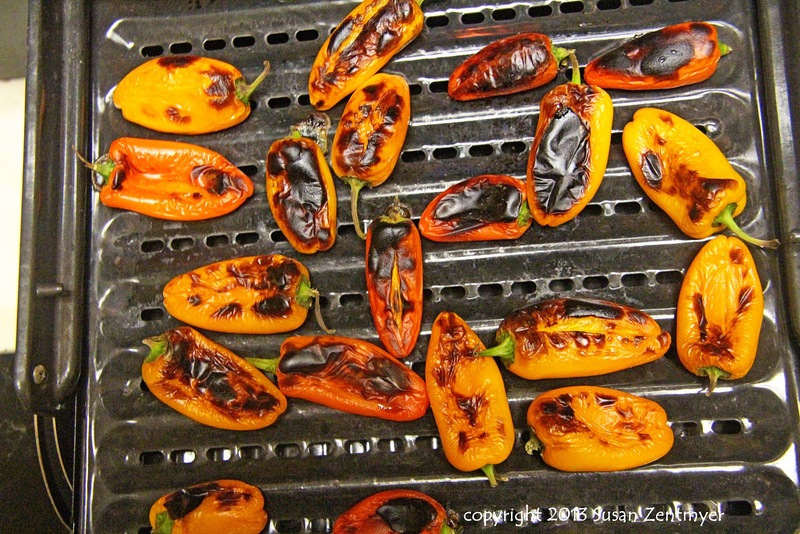 To do that, I need some roasted peppers. You could buy a jar of them, but making them yourself is cheaper and simple. 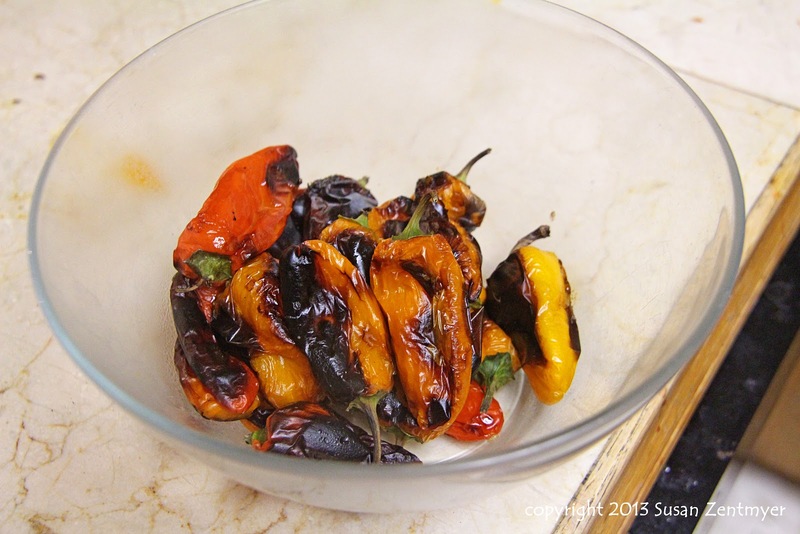 You'll need some peppers. 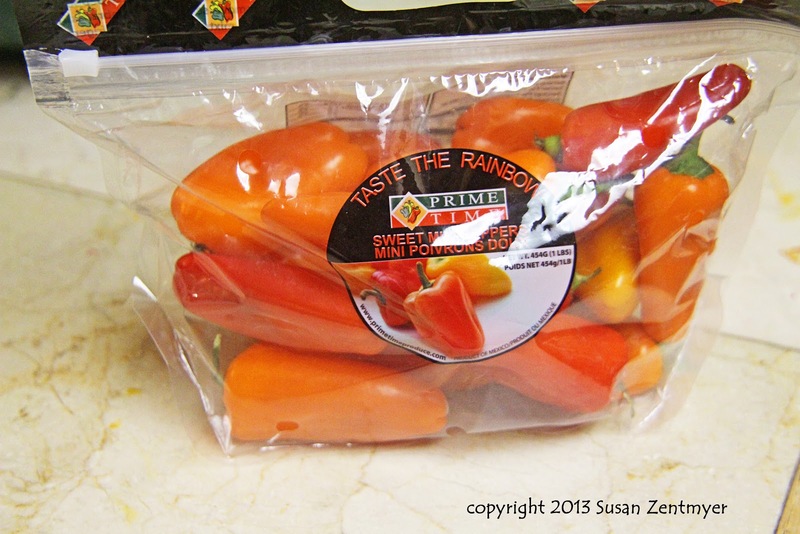 I used these mini sweet peppers because they were on sale, but you can use whatever peppers you like. Red, orange and yellow are preferred, and if you want a soup that is very red, be sure to use either all red or mostly red peppers. 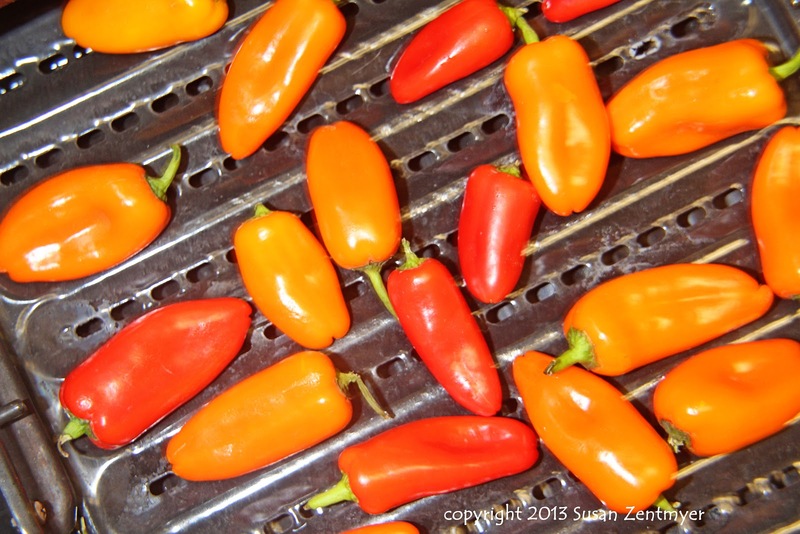 Heat your broiler to high, and place the peppers on a baking sheet or a rack. Roast until dark on one side (5 - 10 minutes, depending on the heat of your oven), then turn over and roast on the other side, You want these to be blackened as if they were burned. 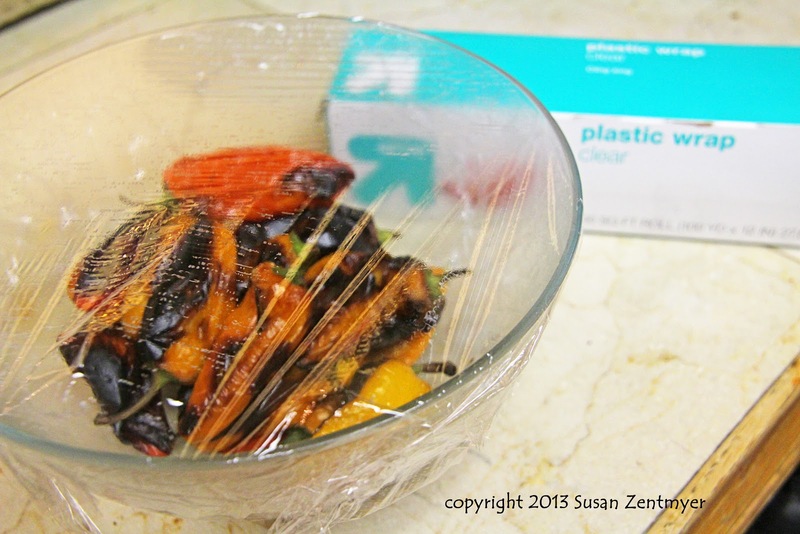 Tightly cover the bowl with plastic wrap, and let sit for 15 minutes. 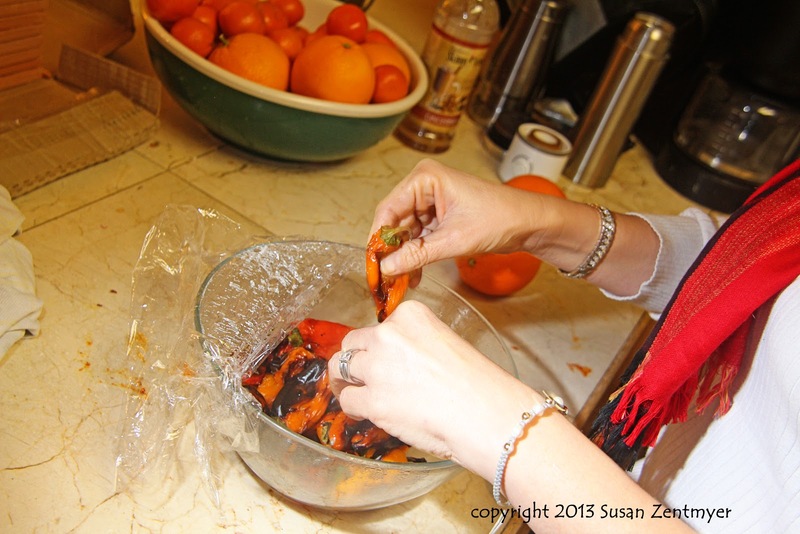 This lets the charred skin loosen so it is easy to remove. Remove the skin with your hands - it should slide off fairly easily. Remove the stem (and seeds if desired). 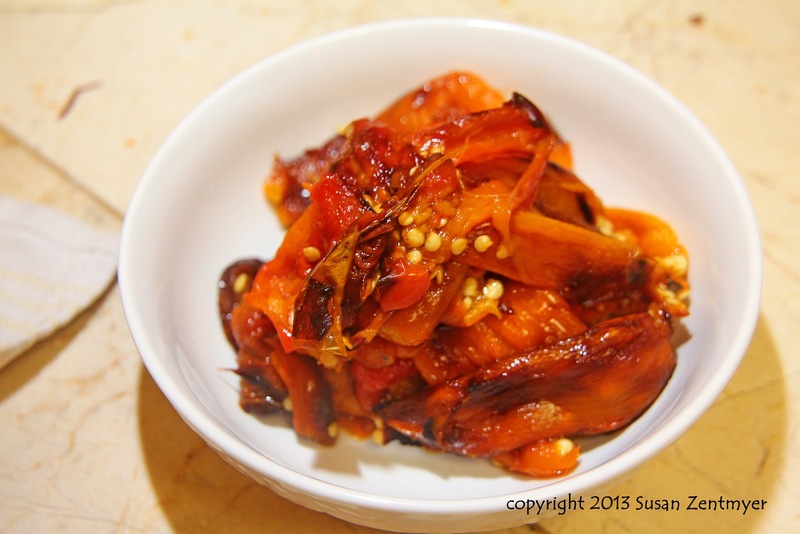 And here you are - roasted peppers! See how easy that is?! Great tip about covering the bowl!